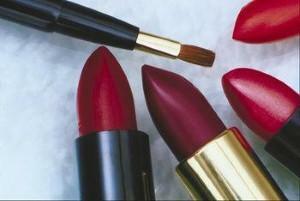 A study has uncovered concerning levels of some metals in common brands of lipstick and lip gloss. Women may be exposing themselves to worryingly high levels of toxic metals whenever they apply their lipstick, scientists have warned. A research team at the University of California, Berkeley has been carrying out tests on commercially available lipsticks and lip glosses and has published its latest findings in the journal Environmental Health Perspectives. The team looked at 32 products, analysing the concentration of metals detected and comparing consumers' potential daily intake against existing health guidelines. Their analysis uncovered the presence of lead, cadmium, chromium, aluminium and five other metals, with some levels raising concerns for users' health. For instance, 24 of the products contained lead, although mainly at concentrations that were below acceptable daily intake levels for adults. Children playing with these products could be at risk, however, as any exposure to lead could be unsafe. The study also revealed that average use of some lipsticks and lip glosses could lead to excessive exposure to chromium, a known carcinogen, which heavy use could cause overexposure to aluminium, cadmium and manganese. Principal investigator Katharine Hammond, professor of environmental health sciences at the university's School of Public Health, said: "Just finding these metals isn't the issue, it's the levels that matter. "Some of the toxic metals are occurring at levels that could possibly have an effect in the long term." The findings may cause some people to think twice before applying lipstick or lip gloss, although a more realistic measure could be to consider using a supplement designed to detoxify the body. A powerful detox supplement that is ideal for this purpose is zeolite. This volcanic material is formed over millions of years and has long been used in traditional Asian remedies, as well as in modern pharmaceutical production to remove impurities from medicines. Its powerful ability to remove toxins - including the heavy metals found in lipsticks and lip glosses - derives from its unique structure, which gives it a great affinity for toxic metal ions and dioxins.